Hugh Balthrop is the founder and creative director of Sweet Magnolia Gelato Co. Hailing from Washington DC, where he owned and operated an art gallery, Hugh followed the love of his life to the Mississippi Delta in 2000. He started making ice cream at home for friends and family and soon this labor of love progressed, spanning across the south. Hugh attended a course in ice cream making at Penn State University, studied under a gelato master, and researched and read every ice cream/gelato book that he could get his hands on. He uses traditional Italian techniques, flavor profiles and equipment and loves putting a Southern twist on many of his gelato and sorbet flavors. Sweet Magnolia Gelato can be found in more than 100 locations from Nashville, TN to Duluth, GA.
Gerard Bertholon, chief strategy officer since 2012 joined Cuisine Solutions in 1989, as corporate chef. In 1999, he formed Fiveleaf, a concept that brought some of the world’s greatest chefs into people’s homes. He was trained in his native France by three master chefs, including Alain Chapel who he cites as his greatest inspiration. Prior to joining Cuisine Solutions, Bertholon served as executive chef in top American and French restaurants, including La Panetière in Rye, NY, which he helped earn three stars from The New York Times. In 2012, he was named Maitre Cuisinier de France, one of the culinary world’s highest honors. In 2013, Bertholon was named Chevalier de l'Ordre du Mérite Agricole Academie du Cuisine, by the French Ministry of Agriculture in and was inducted into the Académie Culinaire de France in 2014. Chef Thierry Rautureau is the Chef/Owner of Luc and Loulay Kitchen and Bar in Seattle. Trademarked as “The Chef in the Hat,” Rautureau was born in the Muscadet region of France. His parents were farmers and the family cooked only what they grew. This has been his main influence for his local, seasonal and sustainable food style culture within his restaurants. In April 2013, Chef Kramer moved to Greenville, SC, to take a position with Table 301 Restaurant Group following his tenure as Executive Chef for the Compass Group in Houston. At Table 301, Chef Kramer works in culinary operations and helps execute strategies and new restaurant concepts for the company. Throughout 2016, he oversaw the development of the group’s modern Italian concept, Jianna, which opened in March 2017 which Chef Kramer at the helm. James Boyce launched his culinary career at New York’s venerable Le Cirque, where he worked for six years under the tutelage of Daniel Boulud. Boyce studied at the Culinary Institute of America and has worked at The Phoenician, Caesar’s Palace and Loew’s Coronado Bay Resort. Boyce was tapped to be the anchor of Studio when it opened in 2003. After earning a second Mobil Five-Star award for Studio, he relocated his family to Huntsville, AL to begin new culinary endeavors with the development of his own company. In 2008 he opened Cotton Row, in Downtown Historic Huntsville, and Pane e Vino Pizzeria. In December 2010, he opened Commerce Kitchen. Jimmy is regularly featured on the Today show, in Martha Stewart Weddings, and on Martha Stewart Living Radio. He and his restaurants are also featured in highly acclaimed magazines from Cooking Light, and Food + Wine, to Men’s Health. Knoxville native Matt Gallaher began his culinary career in his mother’s catering company and restaurant. He paid for college cooking at restaurants and earned a chemical engineering degree from the University of Tennessee. After college, he worked under Executive Chef John Fleer at Blackberry Farm. Matt then cooked for Kings of Leon, Wilco, Eagles, Neil Young, and Keith Urban. After cooking across fourteen countries on four continents, Matt was called home to Tennessee to work as Executive Chef for Governor, Bill Haslam. Matt opened Knox Mason in 2013, offering a contemporary twist on Appalachian cuisine, and Emilia, where Southern hospitality meets simple Italian cuisine, in 2016. The chef and restaurants have received accolades including: MetroPulse Best Chef Knoxville, StarChefs.com’s ‘Rising Star Chef Tennessee/Kentucky,’ Knoxville Mercury’s Top Chef, Travel Channel’s ‘Best Dinner’ in Knoxville and Travel + Leisure singled out Knox Mason as a ‘Highlight’ in their best brunch cities. A native Memphian, Chef Dallas graduated from Germantown High School and attended the University of Memphis to study graphic design. Fortunately for the restaurant industry, he decided to pursue a career as a chef, earning a Culinary Arts degree from The Restaurant School of Walnut Hill College in Philadelphia, PA. While attending culinary school, Dallas interned at the Ritz Carlton but one his most influential culinary experiences was a tour of France with Chef Jean Marie Lacroix, the James Beard Award winning chef that made Fountain Restaurant at the Four Seasons Hotel Philadelphia and Lacroix at The Rittenhouse Hotel famous. Dallas toured the French countryside, Champagne, Burgundy, Beaune, and Paris with Lacroix, learning about wine making, cheese making, and charcuterie. In 2002, Chef Dallas moved to Seattle and began working at The Herb Farm under another James Beard Award winner, Chef Jerry Traunfeld. In 2011, he returned to Memphis to take the coveted position of Head Chef at The Peabody’s “Chez Phillipe” alongside Executive Chef Andreas Kisler. Before moving to his current residence in Ohio, he was the Head (Executive) Chef at Interim. In Cleveland, Chef Dallas joined The Fairmont Olympic Hotel, a Forbes Five-Star hotel that opened in 1924, as Chef Garde Manager and then Restaurant Chef under Chef Gavin Stephson. Later, he became Executive Chef at Sorrento Hotel, a boutique luxury hotel that opened in 1909. He currently is a Chef at the exclusive Spice Kitchen & Bar in Cleveland, Ohio. Joe Cartwright and Shari’ Haley opened the Wilson Cafe in 2013, formerly Wilson Tavern. Joe, an Arkansas native, has worked in the restaurant business for more than 16 years and has held positions at multiple Memphis restaurants like The Farmer, Interim Restaurant & Bar, McEwen’s on Monroe, and Spindini. Joe and Shari’ met at Interim in 2007 where they both worked. Since taking over the Wilson Café, Joe and Shari’ have incorporated local foods into their southern menu. Joe and Shari’ hope to provide good food to their community and get people excited about trying new foods. If you want a great meal in a historic small town then Wilson Cafe is the perfect place. Tory McPhail hails from Ferndale, WA. McPhail attended Seattle Community College and received an ACF-accredited degree in culinary science. Compelled by New Orlean’s history, soul, and Mardi Gras, at just 19, he was hired by Commander’s Palace. He worked diligently through all 12 stations of the kitchen, honing his craft. McPhail later worked at several culinary hot spots in Palm Beach, the Virgin Islands, Michelin-starred L’Escargot in London and the Michelin two-star Picasso Room. 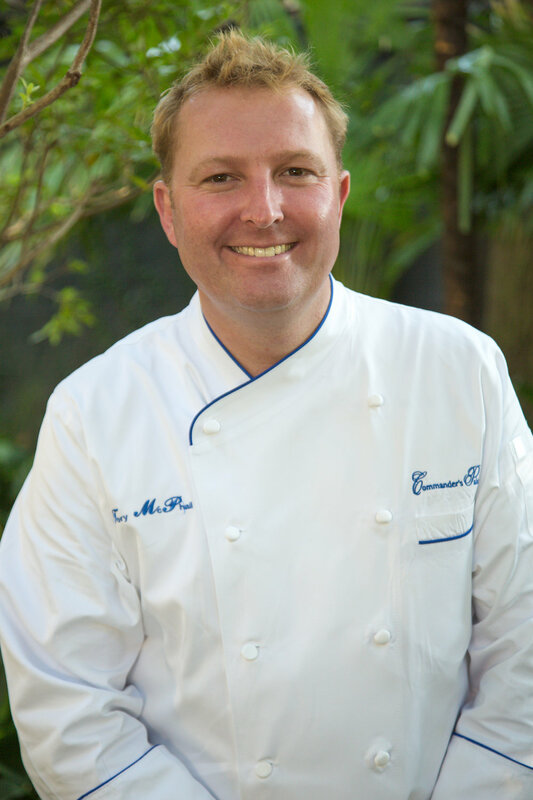 In 2000, McPhail returned to the Commander’s family as executive sous chef at Commander’s Palace Las Vegas. He returned to the original Commander’s Palace as executive chef in 2002. A James Beard Rising Star Chef and Best Chef South winner, McPhail was named one of the best chefs in the country by TheDailyMeal.com, and as one of Saveur’s inaugural “Tastemaker Chefs”; he co-authored Commander’s Wild Side; and has served on the Nutrition Advisory Board for Cooking Light. For more than thirty years, Deb Paquette has been a fixture in Nashville’s ever-growing food scene. As a trailblazing chef, dedicated mentor and community advocate, her adventurous cuisine and tenacious personality have made their mark on the Music City. Now chef-owner of Etch (downtown) and etc. (Green Hills), Paquette has won countless awards and accolades. From her time at the Culinary Institute of America to her 13-year run at Gourmet magazine “Top 60” winning Zola to today, diners have flocked to her big, bold flavors and return time and again for her next globally-inspired dish. Nashville has been home to Paquette and her family for many years. After closing Zola and travelling to the beaches of Turks and Caicos, the Bahamas and Mexico, she was drawn back to the Music City to create Etch with her with 4Top Hospitality partners. Designed with her dream kitchen and every creative luxury, Paquette’s Etch opened in 2012 in the heart of downtown and was quickly embraced by locals and destination diners alike. Ranked #1 in the city by Zagat and with a long list of “best of” mentions, Etch endures as one of the essential restaurants of the Southern city. Success led to a new concept in Nashville’s Green Hills neighborhood with the opening of etc. in 2016. A smaller, more intimate version of Etch, etc. boasted a swanky vibe with the signature bright flavors and layered dishes that made Paquette a household name. The heavily local crowd enjoys the addition of culinary-minded cocktails, a thoughtful wine and beer menu, and an intriguing brunch menu at the fresh suburban venue. Born in Lyon, France, Chef Nico Romo is the youngest-ever US member of The French Culinary Academy (l’Académie Culinaire de France) and Master Chefs of France (Maîtres Cuisiniers de France), one of just 66 French Master Chefs in the country, and the only recipient in South Carolina. Both elite organizations represent and comprise the most highly skilled chefs in the techniques and traditions of the French culinary art. Chef Romo graduated from the Helene Boucher Culinary Art School in Vénissieux at age 19 and perfected his skill under French Master Chef Patrick Henriroux at the dual-Michelin Starred restaurant La Pyramide in Vienne, France. Chef Romo spent a decade directing Patrick Properties Hospitality Group’s culinary programs and helmed the kitchen at Fish Restaurant. During that time, he was named a Monterey Bay Aquarium Sustainable Seafood Ambassador and member of the Seafood Watch Blue Ribbon Task Force recognizing his commitment to ocean-friendly seafood and Lowcountry fishermen. Chef Romo now brings his European training and appreciation for locally sourced ingredients to his own concept NICO, an upbeat oyster bar in Charleston serving French cuisine carefully prepared in a wood-fired oven . Chef Bill Telepan is one of New York’s leaders in sourcing quality ingredients from small farms and local purveyors. He brings to Oceana his commitment to using the finest and freshest ingredients, combined with his classic training and contemporary influences. Telepan was the chef and owner of the critically-acclaimed, Michelin-starred Telepan Restaurant on Manhattan’s Upper West Side, and before then worked at Le Cirque, Le Bernardin, Ansonia, and Judson Grill. He also worked under the legendary Chef Alain Chapel in Lyons after graduating from the Culinary Institute of America. Outside of work, Telepan is the Executive Chef of Wellness in the Schools, a non-profit group committed to enriching lunch and recess programs for children in public schools. He lives in Manhattan with his wife and daughter. Ken Vedrinski is executive chef, owner and sommelier of his all Italian seafood restaurant that overlooks the Atlantic Ocean, Coda del Pesce as well as his charming downtown Charleston restaurant, Trattoria Lucca, both recently ranked among Charleston’s Best Restaurants by Zagat. Moving deftly through an award-winning career spanning decades, and a variety of haute cuisine styles, Chef Ken Vedrinski found his passion and heritage in Italian fare. A three time James Beard Award semi-finalist, he found his “place” in Charleston, a coastal city rich with fresh bounty from the land and sea, and a long way from land-locked Columbus, Ohio where he was born. Vedrinski grew up cooking in his grandmother’s kitchen under her passion-infused, Italian-influenced tutelage. He was an eager student with such fervor for food that it led to his degree in restaurant management from Columbus College and a three-year apprenticeship under Certified Master Chef Hartmut Handke. His lifelong passion and career was ignited. Years later, Vedrinski was also awarded an Honorary Doctorate Degree in Culinary Arts from Johnson and Wales University. His first role as an executive chef was at the acclaimed Opus Restaurant in the former Swissôtel Atlanta, where his talent was quickly lauded when Opus was named “One of the Best New Restaurants in America (1991),” by Esquire Magazine. Chef Vedrinski was an early adopter to the practice and promotion of farm to table freshness as he heralded Georgia homegrown foods, landing him a spot on The Today Show. Vedrinski also served as executive chef at The Restaurant at Woodlands Inn & Resort where he earned the only Mobile Five-Stars awarded to a South Carolina restaurant. In 2002, the restaurant received the only perfect food score in North America by Condé Nast Traveler. Embracing his culinary heritage, Vedrinski embarked on food-fueled expeditions to Italy in search of the most authentic ingredients, olive oils and wines. His journeys took him to Lucca in Western Tuscany, which he claims to be the home of “the best olive oil in the world.” Inspired by the beloved olive oil and his love for the region, Vedrinski opened Trattoria Lucca in 2008, acting as sole owner, executive chef and sommelier of the charming Italian restaurant. The downtown Charleston restaurant was a James Beard Award semi-finalist for Best New Restaurant, and Vedrinski was also recognized as a James Beard Award semi-finalist for Best Chef in the Southeast. With a devoted local following and industry acclaim, Ken Vedrinski, Trattoria Lucca and Coda del Pesce are redefining Italian cuisine in the Lowcountry. Ken aired on an episode of “Beat Bobby Flay” on the Food Network and beat Bobby with his signature gnudi. Entirely self-taught, Michelin Starred chef Ken Frank first achieved national acclaim at age 21 at La Guillotine in Los Angeles. In 1979, he opened the first La Toque on the Sunset Strip. After a 14-year run, Frank sold the restaurant and in 1995 opened the award-winning Fenix at the Argyle. In 1998, the second incarnation of La Toque made its debut in Rutherford, California. La Toque was awarded a Michelin Star in 2007, the first year the organization published a San Francisco Bay Area guide. In 2008, Frank moved the restaurant to The Westin Verasa Napa. La Toque has continued to be well-received by the nation’s top critics and reviewers. In October 2009 the restaurant was honored again with a Michelin Star, which it still retains today. Most recently in mid-2014, La Toque received Wine Spectator’s Grand Award, the highest honor for a restaurant’s wine list. Chef Deshaies moved to the United States in 2001, joining Michelle Richard at the acclaimed 4-Start Michel Richard Citronelle in Washington, DC, and quickly rose through the ranks to spend eight years as the Executive Chef of Citronelle. As the company expanded, chef Deshaies became Corporate Chef of Michel Richard's Restaurants in Washington DC, Las Vegas and New York City. In late 2017 he opened his new restaurant, "Unconventional Diner" where he spends more of his time creating these amazing dishes that well belong in a high end dining room, Unconventional Diner is getting recognition by many in Washington DC, including The Washingtonians Top 100 Restaurants and The Michelin Guide. Chef José Gutierrez’s exceptional culinary creativity can be traced to his French heritage with Spanish roots and Southern influences. Chef José has been a Memphis resident for more than 30 years and hence, is a true Southerner. José studied at the Professional Culinary School in Manosque, France, worked under the direction of several esteemed chefs, and then trained with the celebrated chef Paul Bocuse, creator of Nouvelle Cuisine. José then move to Houston to serve as chef de cuisine at Restaurant de France at the Meridien Hotel. In 1982, he began what turned out to be a distinguished, unparalleled 22-year career at the Peabody Hotel’s Chez Phillipe. In 2005, chef José opened Encore Restaurant and Bar. Five years later he joined River Oaks restaurant, which he and his wife, Colleen, now own. Chef José has expertly guided River Oaks to its status today as one of Memphis’ premier eateries. Chef José is one of only 66 Master Chefs in the country. In addition to Food & Wine’s Best New Chef award in 1990, Chef Jose received the Master Chef of the Year designation in 2011 and Chef of the Century by the American Academy of Hospitality and Sciences in 1998. Chef Wally Joe was born in Hong Kong and raised in Cleveland, Mississippi. Wally studied banking and finance at the University of Mississippi but was ultimately drawn back to a career in the kitchen as chef de cuisine at KC’s, his family’s restaurant in Cleveland, where his attention to detail and obsessive quest for quality garnered rave reviews. KC’s is the only AAA 4-Diamond Award winning restaurant in the state of Mississippi. In 2002, he opened the now defunct Wally Joe Restaurant with numerous accolades. In 2011, Wally Joe and Andrew Adams opened Acre which has continuously been viewed as one of the top restaurants in Memphis. For many chefs, the jump into the culinary professions comes as a second career – often by accident. But Chef Andrew Adams saw chef whites in his future from a least age 8, when he told his dad on video that he was going to be a chef when he grew up. Andrew started as an apprentice at the nationally renowned KC’s restaurant in Cleveland, MS. He graduated from the prestigious Culinary Institute of America (CIA). Andrew worked at Commander’s Palace in New Orleans then took a position at a Relais & Chateaux property in Whitehouse, NJ. Andrew returned home in 2002 to help Wally open his eponymous restaurant as Chef de Cuisine. In 2011, Andrew collaborated with Wally to open ACRE in Memphis, TN. Chef Andreas Kisler brings a passion for innovative, creative cooking as well as European grace and style to the “South’s Grand Hotel” and its signature fine dining restaurant Chez Philippe. Chef Andreas is a native of Austria and has cooked in Vienna, Paris, New York, Manhattan Beach, Beverly Hills, and Memphis. In 1984, he was voted one of the 13 Best Chefs in New York. He is the author of the cookbook, Viennese Cuisine: The New Approach , has cooked at the James Beard House, and has been featured in many publications, including Gourmet, Food Arts, USA Today, Art Culinaire, and Buzz Magazine. Chef Andreas received the five star diamond from the Academy of Hospitality Sciences and is a current member of the James Beard Foundation and the American Institute of Wine and Food. Originally from Austria, Chef Konrad comes to Memphis by way of a string of 5-star pastry kitchens in Mackinac Island, Detroit, Beverly Hills, and Memphis. 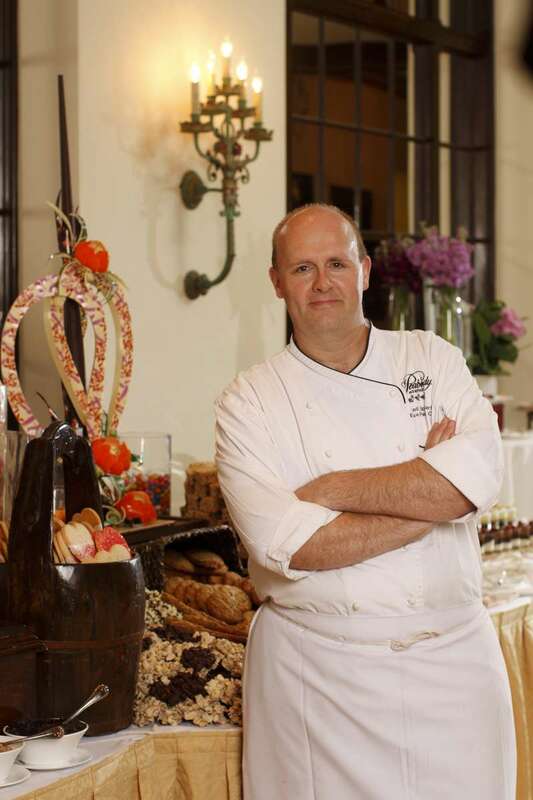 In 2009, he led a pastry team from The Peabody that competed in “Food Network Challenge: Giant Gingerbread Houses,” and won. Today, Chef Konrad still relies on the basics he learned early on. “The fundamentals are most important,” he says. “Everything, even the latest pastry trends, comes from the basics. Everything new is derived from something else.” Even peanut butter and banana Elvis cakes. Chef Erling Jensen was born in Frederikshavn, Denmark, and started cooking at the tender age of 14. He has cooked in Washington, DC, Miami, and Memphis where he was hired over the telephone after calling from an ad in the New York Times. Under Jensen’s hand, La Tourelle was voted Memphis’s “Best French Restaurant” several years in a row. In 1996 Jensen opened his eponymous, award-winning Erling Jensen, The Restaurant, named Best Restaurant in Memphis several years in a row. Chef Jensen has been featured in Food & Wine, Southern Living, and Virtual Gourmet. Erling has been invited and has cooked twice at the James Beard House and in 2000 was named "Distinguished Restauranteur of the Year" by the Memphis Restaurant Association. Chef Patrick Reilly is a native of, and received his professional culinary education in Dublin, where he apprenticed at the Guinness Headquarters. Patrick trained in London at the Michelin-starred Inigo Jones. Patrick has cooked and run restaurants in New York, Boston, and Orlando. Reilly moved to Memphis in 2001 to oversee the Gibson Beale Street Showcase, a 1,000-seat catering operation. Reilly opened The Majestic Grille in 2006. The Majestic Grille and Chef Reilly have received accolades including multiple Best Chef and Best Restaurant nods from Memphis Magazine and Memphis Flyer and a 2012 Congressional Proclamation honoring his leadership in the culinary and business communities. As President of the Memphis Restaurant Association (2013, 2014), Reilly was instrumental in facilitating changes in the Memphis food landscape, including food truck legislation, representing Memphis in the NRA’s ‘Day on the Hill,’ and increasing the MRA’s role in local, regional and national government. Voted “Restaurateur of the Year” in 2010 by Memphis Restaurant Association, Ben Smith is the owner and executive chef of the award-winning restaurant Tsunami. Born and raised in Memphis, Ben is well known for an innovative culinary style influenced by his extensive travels in the Pacific Rim. Ben graduated from the Culinary Institute of America and has cooked in San Francisco, Tahiti, New Caledonia, New Zealand, Australia, and Hawaii. Ben opened Tsunami in 1998. Tsunami was voted Best New Restaurant in 1998 and has been included in the Best Seafood category in Memphis Magazine and Memphis Flyer reader polls every year since its inception, with other categories of recognition including Best Restaurant, Best Chef, and Most Creative Menu. Ben is the author of the Tsunami Cookbook and served as a full-time Chef Instructor at L’Ecole Culinaire from 2010 to 2012. Chef Ryan Trimm was in born in Pittsburgh, PA. He moved to Memphis at the age of twelve and went on to study English and Business at Ole Miss. Ryan has cooked in Pittsburgh, Oxford, MS; and Charleston. He attended Johnson and Wales and considers his years spent at S.N.O.B. the most influential in his career. Ryan moved back to Memphis in 2005 to work at the Grove Grill. Ryan opened Sweet Grass in 2010. The following year he opened Sweet Grass Next Door. Chef and his staff focus on traditional southern ingredients, whole animal butchery, fresh local vegetables and fruits, and well sourced seafood. Sweet Grass has won Best New Restaurant and Best Bar in multiple Memphis publications. The restaurant has been acclaimed in USA Today, Delta Sky Miles, New York Times and National Geographic Travel. Ryan was nominated for Food and Wine’s Peoples’ Best New Chef 2011. Jonathan Magallanes grew up in Memphis and Mexico City, spending time in both cities through his formative years. He is a self-taught chef, learning technique and recipes from his father, and from extensive international travel and self study. His passion is for fresh, bright, colorful food with big flavors and meticulous presentation. He is the owner of Las Tortugas Deli Mexicana and proud to be part of the Memphis Food and Wine Festival. Frost Bake Shop is a “real” bakery in the old-fashioned sense of the word. No commercial cake mixes, frostings from a bucket or any of the other pre-formulated products that allow almost anyone to produce baked goods. Rather, unique, proprietary recipes combined with high-quality raw ingredients create desserts that customers find irresistible. Started in 2004 as All American Sweets, the company’s early sales were to restaurants and delis in the Memphis area. Customers quickly noticed the unrivaled product quality and the company became the primary cake supplier to food and beverage locations throughout the city. In 2013 the company opened its first retail location in East Memphis, and will soon add a second in Collierville. Valarie Hall’s culinary interest was sparked as a child following her father around the kitchens of prestigious hotels like the Boca Raton Resort and Club and Atlantic City's Taj Mahal. In her teens she worked in her family's restaurants in Delray beach and Boca Raton. At 18 she relocated to Hollywood where she spent seven years at the five-star, five-diamond Four Seasons Beverly Hills Hotel. She then moved to northern California to the world famous Pebble Beach Resorts. While at Spanish Bay she teamed up with Chef Arturo Moscoso of Peppoli restaurant. During her eight years with Arturo she developed a passion for Italian cuisine. Moving back to Memphis as the Executive Sous Chef at Ridgeway Country Club and was promoted to Executive Chef 16 months later. At RCC she creates classic southern comfort dishes for the membership using the finest local products, along with the freshest seafood from Hawaii to the Caribbean, and quality steaks from Chicago to New York. Designer chocolatier Phillip Ashley Rix has developed an international following for his wildly imaginative chocolates which are sought out by celebrities, events, and major corporations. His designer chocolates are also sold by national luxury retailers Neiman Marcus and Horchow. Phillip Ashley Rix has been named one of the Best Chocolatiers and Confectioners in America by TasteTV and in 2017 added to the ranks of Master Chocolatier by the International Chocolate Salon. He was recognized by Forbes Magazine’s as a “Real Life Willy Wonka” and Local Palate as the “Memphis King of Chocolate.” The self-taught chocolatier hosted the Taste of the Delta at The James Beard House in New York City. Additionally, Phillip Ashley Chocolates were the official chocolate of the 2016 Grammy’s Celebration® and 2016 Oscars Salute®. A Tennessee native, Scott’s passion for the restaurant industry began while working as a dishwasher at the age of 15. Prior to Purchasing Alchemy in 2016, he cooked at Flight Restaurant and Wine Bar, Fleming’s Prime Steakhouse & Wine Bar and Bluefin Edge Cuisine & Sushi Lounge. During his tenure at Bluefin, the restaurant was awarded “Best Japanese” and “Best Sushi” by Memphis Flyer and Memphis magazine. Scott also honed his international culinary skills at Memphis’ Do Sushi Lounge, Stella Restaurant, and Wally Joe Restaurant. Driven by creativity and industry trends, Scott aims to deliver a unique culinary experience with each dish he creates. Born and raised in Tampa, Chef Krog worked in several Memphis kitchens before enrolling in the Memphis Culinary Academy. He apprenticed at La Tourelle and went on to be the Executive Chef at Madidi in Clarksdale MS. Returning to Tennessee in 2005, David has cooked at Bari, The Tennessean, Erling Jensen, Terrace at River Inn and is currently the Chef de Cuisine at Interim. Chef Krog is the recipient of several awards such as the Great Southern Food Festival Best New National Chef 2001, and the United Cerebral Palsy Silver Spatula Award for Best Appetizer. He has been featured in Southern Living, Bon Appetit, Food and Wine, At Home Tennessee, the Commercial Appeal, Memphis Flyer, and New York Magazine.